Hussain on Pat Brown: "His life is going to change. This goes out around the world. I would say to him you are hot now. Not to cash-in but make your money around the world and play franchise cricket." 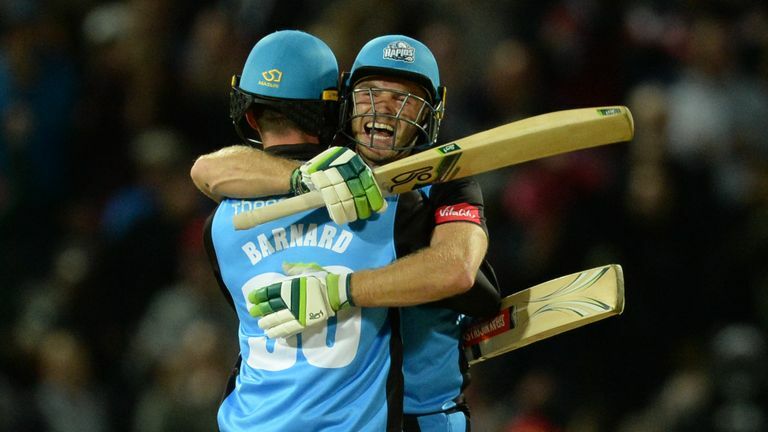 Watch the winning moment from the Vitality Blast final as Worcestershire's Ben Cox pulled Sussex's Jofra Archer for four. 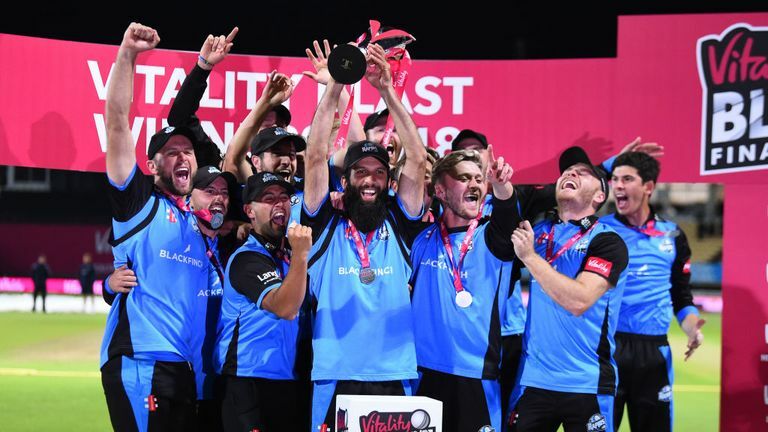 Nasser Hussain hailed Moeen Ali as someone to be "proud of" after he steered Worcestershire to their first Vitality Blast trophy. Ali impressed with bat and ball on Finals Day as the Rapids saw off two former champions, Lancashire in the semi-final and Sussex in the final. Worcestershire wicketkeeper Ben Cox scored vital unbeaten knocks in both games, while 20-year-old seamer Pat Brown, the leading wicket-taker in the tournament with 31 scalps, claimed 4-21 in the last four and then 0-15 against Sussex. However, Sky Sports expert Nasser Hussain says England star Ali melded the team together and saluted his commitment to his county's cause. "If you want an England player to come back and do his job, Moeen is your man," said the former England skipper. "He does it every time, whether it's in a relegation battle or on days like this. He gives as much energy for Worcestershire as he does for England. "What an outstanding individual Moeen is. I know this is a team performance, I know it's about Cox and Brown, but it's led from the front by one individual in Ali. We should be very proud of him. "He does not bluff, he does not make any excuses and I think that's why he is a good leader of men. If your top man behaves like that, no one else in the team can make excuses." Worcestershire were shorn of injured New Zealander Martin Guptill and Callum Ferguson, who has returned to South Australia ahead of the domestic season down under, for their maiden Finals Day appearance. But their home-grown players fired, with Brown, in particular, stealing the headlines - and Hussain feels the young paceman will be on the radar of Twenty20 franchises around the globe. "No one gave them a chance, to be honest," added Hussain. "Everyone wrote them off, youngest side here, missing two or three superstars. "But this tournament is not like the IPL or even the Big Bash. You can't throw money at this tournament and just win it. "You build team spirit, think Leicester, think Northants, now Worcester. You build that, get some young guns and a couple of gems, you can win our tournament. "Worcestershire have been quite brilliant and they produce their own cricketers, too. Who was talking about Pat Brown? No one. And then, suddenly in June, we have a lad who's getting wickets. "How is he getting wickets? He is bowling knuckleballs, cutters. The lad no one had heard of six months ago is the leading wicket-taker and it's no fluke. "You can do it once or twice but you can't turn up to Finals Day and get 4-21 in the semi-final and 0-15 in the final, not with that standard of batting. You are a seriously good cricketer in this format. WATCH: Key in the crowd! "His life is going to change. This goes out around the world. I would say to him you are hot now. Not to cash-in but make your money around the world and play franchise cricket." Comment below to get involved in the debate, but please adhere to our House Rules. If you wish to report any comment, simply click on the down arrow next to the offending comment and click 'Report.